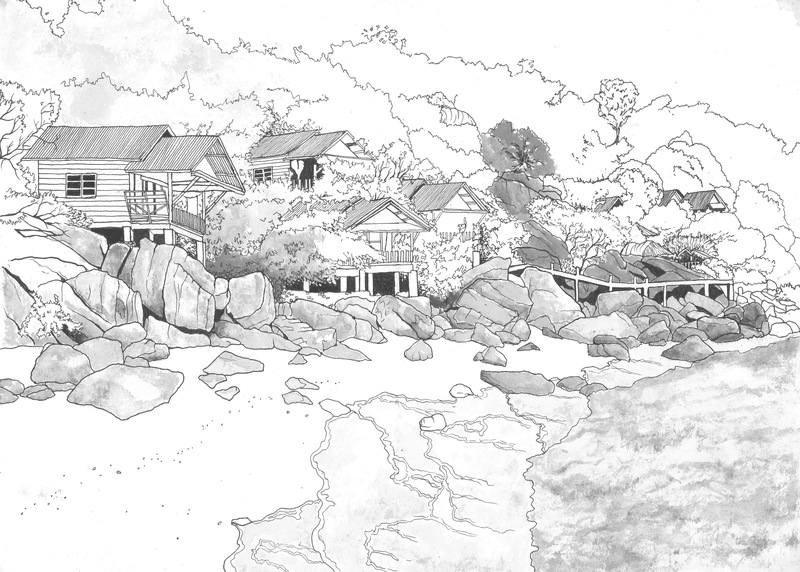 An unfinished detail study of Banana Bay in Koh Tao. Sadly, the original paper was exposed to a mysterious substance that didn’t allow me to finish the painting. I used a picture I had taken on my phone to work from.